Following the sudden death of her father, Macdonald tried to deal with her grief with a unique form of personal therapy: the purchase and training of an English goshawk. Helen Macdonald’s beautiful and nearly feral book reminds us that excellent nature writing can lay bare some of the intimacies of the wild world as well. Her book is so good that, at times, it hurt me to read it. 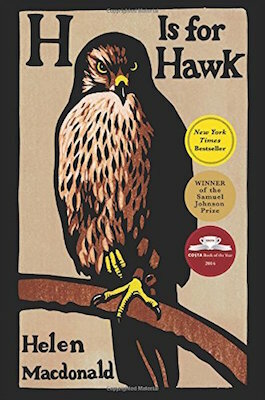 It draws blood, in ways that seem curative ... H Is for Hawk is good about death, about parents, about depression, about solitude and about keeping small cute, dead animals in your freezer to toss to your hawk. But it is especially good about class and gender. Had there been an award for the best new book that defies every genre, I imagine it would have won that, too. H Is for Hawk is an improbable and hybrid creature. It is one part grief memoir, one part guide to raptors, and one part biography of T. H. White, who chronicled his maiden effort at falconry in The Goshawk, written just before he began work on The Once and Future King. I am describing Macdonald’s book by its parts for the same reason we describe a griffin by its parts—because how else would we do so? But it is coherent, complete, and riveting, perhaps the finest nonfiction I read in the past year. 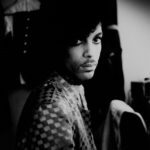 ...an ­elegantly written amalgam of nature writing, personal memoir, literary portrait and an ­examination of bereavement. Its considerable accomplishment is to hold all these parts in balance ... The threads are woven skillfully. We engage with the modern woman coping (badly, she makes clear) with loss, and also with T.H. White, beset by many demons. Both trying to become one with a raptor, to share in its force and freedom while engaged in the process of taking away that freedom ... This is a beautifully written and beautifully conceived work. It illuminates unexpected things in unexpected ways. There is also, at its heart, something quite wonderful: a book about a woman and her hawk and another tormented writer, and his is, also, movingly, a book about a daughter and her lost father. What did you think of H Is for Hawk?